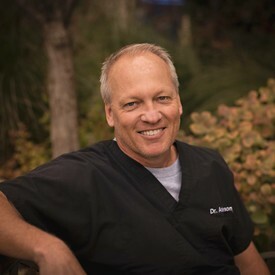 Dr. Mark Anderson is committed to excellence in dentistry. He considers it his personal obligation to provide only the highest quality dental care to his patients. Dr. Mark believes in creating a passion for dentistry by empowering his patients with as much information and technology as is available. He is dedicated to a family practice and strives to meet each individuals needs and goals in the most comfortable and efficient manner possible. Dr. Anderson is a graduate of Augustana College and completed his dental education at the University of Illinois. He is devoted to Chicago's South and West Suburb's, where he has practiced since 1983. He is deeply committed to his faith, and as a father of three children, he believes it is important to embrace the traditions and family values in which he has been blessed. Outside of the practice, Dr. Mark cherishes the time he spends with his children and their activities. He is also a loyal Chicago Sports Fan, and enjoys participation in a wide variety of activities depending on the season. We look forward to the opportunity to meet you and hope that we may satisfy your needs and welcome you into our family.